Dr. Israel Cuellar (1946-2008) was born in Douglas, Arizona and eventually lived in Laredo, Texas after the death of his father. He lived a bicultural life in cities near the American-Mexican border in South Texas and this also led him to experiences with intra-ethnic prejudicial attitudes. As is the case with some Latino families, a preference for those with lighter skin was present in his family. This reality had a direct effect on his interest in looking at how experiencing this type of prejudice affects a person’s mental health and overall well-being. His early experiences heavily influenced his personal and professional perspectives on identity. Dr. Cuellar began his academic journey at the University of North Texas where he received his bachelor’s degree in psychology in 1969 and his master’s degree in Clinical Psychology in 1972. He later earned a doctoral degree in Community Psychology from the University of Texas in Austin. After completing his doctoral degree, he served as the director of the Bicultural Psychiatric Unit at the San Antonio State Hospital (1977-1984). Working closely with the Mexican-American population, he implemented culturally appropriate treatment plans and used his findings to construct the Acculturation Scale for Mexican Americans (ARSMA). This ground-breaking assessment addressing acculturation was published in the Hispanic Journal of Behavioral Sciences in 1980; a revision was published in 1995. He directed one of the nation's first culturally responsive treatment units for Hispanics. Later, Dr. Cuellar was a tenured, full professor in the Department of Psychology and the Director of the Julián Samora Research Institute at Michigan State University from 2001-2004. Dr. Cuellar’ scholarly publications addressed acculturation, Latino multicultural mental health, health disparities in minority populations, and cultural competence in health and mental health. It is important to note that he wrote for the groundbreaking book, Chicano Psychology, with his chapter entitled “Psychology Disorders among Chicanos”. 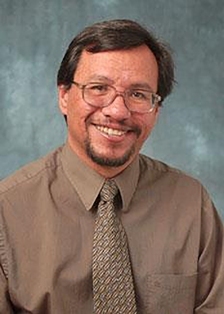 He received a number of awards and recognitions for his findings including the Outstanding Contribution to Science from the Texas Psychological Association, Outstanding Faculty Award for Professional Achievement from the University of Texas Pan American, and in 2003 he was recognized as one of the most influential Hispanic leaders in Michigan by CORP Magazine. Dr. Cuellar’s research expanded the field’s knowledge of culturally competent diagnosis and treatment for the Mexican-American population. The creation of the ARSMA (ARSMA-II) is noteworthy in that from 1980 through 1993, ARSMA was cited in 85 different scientific journals and in 159 journal articles. The instrument became widely used with other assessment tools, particularly ones measuring ethnic identity. Dr. Adriana Rodriguez-Pellicari (1939-2013) was born in Verona, Italy, and later spent her life in Germany, Bolivia, and the United States. This multicultural perspective aided in her academic direction. She earned her bachelor’s in science at the Insituto Montanari in Verona, Italy, a master’s of education in counselor education and the certificate of advanced graduate studies in counseling psychology, and a doctoral degree of education in bilingual and special education from Boston University. Dr. Rodriguez-Pellicari has taught at many universities including Boston University, Bridgewater State College, Lesley College, University of Massachusetts at Boston, Tufts University, and Northeastern University in the areas of Bilingual Special Education and Evaluation, Special Education and Psychology, and School Psychology. She served as a Board Committee Chair and Co-Chair of the Child Advocacy Committee at the Massachusetts School of Psychologists Association. She directed the committee in its purpose and partook in the admission process, interviewing process, and trained applicants. Dr. Rodriguez-Pellicari also had a passion for mentoring students and faculty. During her time at Northeastern University, she was involved in the School Psychology Program, which gave her the opportunity to stem from her affinity with multicultural perspectives. Dr. Rodriguez-Pellicari was a member and contributed to both the National Latina/o Psychological Association and National Association for School Psychologists. She attended every NLPA conference from the start, and her contributions to the National Latina/o Psychological Association student scholarships will always be treasured. Dr. Rodriguez-Pellicari’s has improved the field through the academic courses and seminars that she taught, the number of students that she supervised for practicums and internships, and the faculty and colleagues whom she had a profound impact on. Dr. Martha Bernal (1931-2001) was born in San Antonio, Texas and raised in El Paso, Texas in an era when it was common to mistreat Mexican heritage people on the basis of skin color and accent. In elementary school she experienced segregation and discrimination for speaking Spanish at school. Her bicultural experience created many obstacles for her, and some were specifically as a result of her being Mexican and/or female. She was brought up by Mexican immigrant parents and her desire for higher education was supported by her mother and sister. Along the way she had to fight her father’s ideas that women were meant to just stay home with their parents until marriage and solely have the role of taking care of their husbands, children, and their home. Her father’s response to her educational purse was one of strong Mexican roots that emphasized the nurturing of their children and their family ties. Eventually, her father did gave her permission to go to graduate school. Dr. Bernal earned her bachelor’s degree in 1952 from the University of Texas, a master’s degree in 1955 from Syracuse University and in 1962, she achieved the distinction of becoming the first Latina to earn a Ph.D. in psychology in the United States when she was awarded her clinical psychology degree from Indiana University. Dr. Bernal’s research contributions were on empirically-based interventions in child development treatment, especially the development of ethnic identity among Mexican-heritage children. With her colleague, Dr. George P. Knight, they provided a rich array of findings on the theme of ethnic socialization and the integrational transmission of ethnic identification. She also helped to advance a multicultural psychology - one that recognizes the importance of diversity in training, recruitment, and research. Dr. Bernal applied her interests, energies, and abilities in ways that proved invaluable in helping change paradigms within the structure of the American Psychological Association. Her Latina/o research brought attention to the lack of research for this population, the lack of ethnic minority psychologists in the field, and recommended steps for addressing this problem. Throughout her career, Dr. Bernal was a prolific scholar with timely articles appearing in the American Psychologist and the Counseling Psychologist, books, and book chapters. She taught at universities across the country including the University of California, Los Angeles, the University of Denver, and Arizona State University. Dr. Bernal was also a servant leader. She contributed to the establishment of the APA Board of Ethnic Minority Affairs and the National Hispanic Psychology Association (NHPA); she also became president of NHPA. She was on APA’s Commission on Ethnic Minority, Recruitment, Retention and Training and a member of the Committee on Gay, Lesbian and Bisexual Affairs. 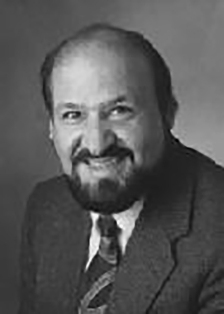 Dr. Bernal received a number of awards and honours, including the Distinguished Life Achievement Award from APA’s Division 45, the Society for the Psychological Study of Ethnic Minority Issues, APA’s Distinguished Contribution to Psychology in the Public Interest Award in 2001, and the Carolyn Attneave award for lifelong contributions to ethnic minority psychology. She ended her career at Arizona State University where she was the recipient of the Hispanic Research Center Lifetime Award. Dr. Bernal was highly recognized by her peers. Dr. Martha Bernal is best known for her promotion of the ethnic minority psychologists. She has inspired many by being a pioneer, a beacon of light, a mentor, and much more to many who worked with her. Her insight has impacted a large number of psychologists of color, men and women alike. 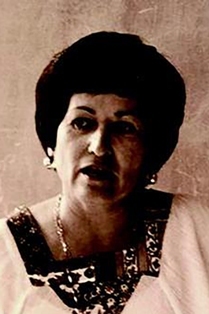 Dr. Ena Vázquez-Nuttall (1937-2011) was born and raised in Salinas, Puerto Rico. She earned her bachelor’s degree from the University of Puerto Rico, a master’s degree in psychology from Radcliffe College, and her doctoral of education degree in counseling and school psychology from Boston University. Dr. Vázquez-Nuttall’s academic career began with the Massachusetts School Psychology Association (1970-74 and 1990-91) where she served as the first vice president. As a professor in the Counseling and School Psychology program from 1975-1988, at the University of Massachusetts, Amherst, she founded the first doctoral program in school psychology. In 1989, she joined the Department of Counseling Psychology Northeastern University in Boston. There too, she founded the first doctoral program in school psychology. Remarkably, both programs (UMA and Northeastern) obtained NASP and APA accreditation under her guidance. 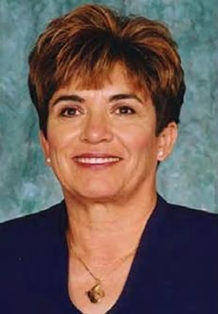 Dr. Vázquez-Nuttall also served as the Associate Dean and Director of the Graduate School of Bouve College of Health Sciences from 1992 to 2004. Later she served as the Assistant Dean of Multicultural Education, before retiring as Professor Emeritus in 2009. Dr. Vázquez-Nuttall was involved in three major professional association committees throughout her career with NASP, APA, and the National Academy of Sciences’ Institute of Medicine. Within APA, Dr. Vazquez-Nuttall served on the Children, Youth and Families Committee from 1991-1994, the Committee on Accreditation from 1998-2004, and chaired the Training and Education Group of the Commission on Ethnic Minority Recruitment, Retention, and Training in Psychology (CEMRRAT) from 1994-1996. She served as Division 16 School Psychology treasurer from 1995-1998. Dr. Vázquez-Nuttall served as the only psychologist on the National Academy of Sciences’ Institute of Medicine Committee on Institutional and Policy Level Strategies for Increasing the Diversity of the U.S. Health Care Industry. The committee produced the report, “In the Nation’s Compelling Interest: Ensuring Diversity in the Health Care Workforce”, which was released in February 2004. She spoke proudly about her appointment and of her presence as the only psychologist on the committee. Dr. Vázquez held other service-related appointments. One was with the Massachusetts Board of Registration from 1988-1993. 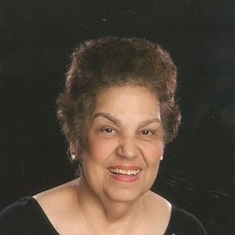 She was a member of the Massachusetts Chapter of the National Hispanic Psychological Association in the 1980s and 1990’s and was an early supporter of NLPA. Dr. Vázquez-Nuttall received numerous awards and honors, including the Outstanding School Psychology Trainer award in 1986, NASP Presidential Award in 1990, the Dedicated Service and Outstanding Leadership award for the NASP Children's Fund in 1995, the Distinguished Latino Psychologists award from the National Latino Psychological Association in 2004 (The first time it was awarded) and the Lifetime Achievement Award from the Massachusetts School Psychology Association in 2004. Dr. Vázquez was a Fellow of Division 16 School Psychology, and received an APA Presidential Citation for her service to APA in 2005. Dr. Vázquez-Nuttall’s scholarly publications addressed areas of psychological assessment, Hispanic families and children, and cross-cultural and women's issues. Her first journal article (1970) focused on the relationship between culture and children’s development in 1970. She was co-author of a highly notable publication--Multicultural Counseling Competencies: Individual and Organizational Development. The guidelines published in the book have had a significant impact on APA policies and practice. 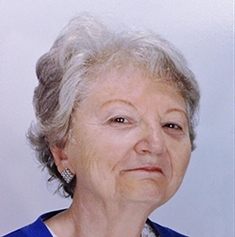 Based on her lifelong research and passion for clinical work with young children, Dr. Vázquez Nuttall was the lead editor of the book Assessing and Screening Preschoolers: Psychological and Educational Dimensions.She also served on several journal editorial boards, including School Psychology Quarterly, School Psychology Review, American Journal of Counseling and Development, Journal of Counselor Education and Supervision, and Journal of Applied School Psychology. She was the principal or co-principal investigator on numerous grants. Dr. Vázquez-Nuttall’s research vastly contributed to addressing bilingual and Latino issues in school psychology. She did so through mentorship and academic literature, consulting to a new program on child counseling in Guatemala. She was a social justice advocate of her time whose interest centered on children and families. As a bilingual school psychologist she was a recruiter for underrepresented minority students and faculty to Northeastern. Her influence in academic associations deepened multicultural competency throughout the field. Dr. José Toro-Alfonso (1952-2015) was born in Ponce, Puerto Rico. He earned two master’s degrees from the Catholic University of Puerto Rico, the first in education in 1976 and the other in psychology in 1988, and a doctoral degree in clinical psychology from the Caribbean Center for Advanced Studies in 1991. He completed his postdoctoral studies at the Centers for Disease Control and Prevention in Atlanta, and at the University of New York, focusing on sexuality and health programs. Dr. Toro-Alfonso began his career as a biology teacher, was involved in the Montessori school system, and in 1978 founded and directed his own Montessori preschool and elementary school in Puerto Rico. From 1983-1998, Dr. Toro-Alfonso was the Executive Director of the AIDS Foundation of Puerto Rico. He also was a clinical psychologist, professor, and researcher at the University of Puerto Rico in Río Piedras from 1998 until his untimely death in 2015. In the profession, Dr. Toro held many positions, including being the president for both the Puerto Rico Psychological Association and the Interamerican Society of Psychology. Dr. Toro-Alfonso published in English and Spanish over fifty articles in peer-reviewed national and international journals, and over 10 books as author, co-author and editor. Throughout his publications, he focused on gender, masculinity, LGBT individuals, HIV prevention, domestic violence, and health. Through these publications, he focused on examining domestic violence in Puerto Rican gay couples, which has led to a better understanding of the effect that family role models have on future violence in intimate relationships, addictive behaviors, and vulnerability for HIV infection in gay men. Dr. Toro-Alfonso has been recognized by his colleagues for his research and leadership work in the LGBT community and was elected as a fellow of Division 44: Society for the Psychological Study of Lesbian, Gay, Bisexual, and Transgender Issues of the American Psychological Association in 2010. 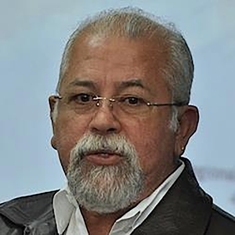 He also was awarded the Interamerican Psychologists in 2009 and the Distinguished Professional Career Award by the National Latina/o Psychological Association in 2014. Dr. Toro-Alfonso was a central figure in the Latino Gay community in Puerto Rico. His work benefited the psychological community serving Latina/o and LGBT community. He was a mentor, leader, and academic guru for both local and international leaders alike. Dr. Star Vega (1949- 2004). She earned her doctoral degree in Clinical Psychology at the University of Southern California (USC); she was the fifth bilingual/bicultural person to receive a Ph.D. in Clinical Psychology from USC. As a graduate student, Dr. Vega authored one of the earliest dissertations addressing the effects of culture on psychological assessment. Dr. Vega began her career in private practice and mastered in forensic, neuropsychology, child psychology, multicultural, pharmacology, and industrial medicine. Later, she joined the academic community and taught at Phillips Graduate Institute in Los Angeles, California. In 2002 she became the first Latina to serve as President of the California Psychological Association. Dr. Vega was very active within the psychological community and held Board appointments on other state, national association, and community boards. She received numerous awards from the California Psychological Association (CPA) and the American Psychological Association, recognizing her advocacy efforts for psychology and the community-at-large. In 2002 she received the Karl F. Heiser award for Advocacy — an honor bestowed upon those who have made a commitment to define the discipline of psychology statutorily by state and federal laws through advocacy. Dr.. Vega served as one of the plaintiffs in the groundbreaking and successful CPA vs. Aetna/U.S. Healthcare Lawsuit. The lawsuit accused Aetna/U.S. Healthcare of false advertising for selling more generous mental health benefits than they intended to provide. Dr. Vega held significant positions throughout her career and made memorable impressions on future psychologists, colleagues, and patients. She was the voice of the large Latino and psychological community, and had been recognized numerous times for her work in both. 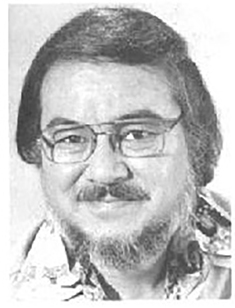 D r. Rene A. Ruiz (1929-1982) was born and raised in the Los Angeles area. He attended the University of Southern California where he earned his bachelor’s degree in 1954 with a minor in psychology, and later he attended the University of Nebraska where he earned his doctoral degree in clinical psychology in 1963. Dr. Ruiz’s academic career began as a lecturer and then as an assistant professor in the Department of Psychiatry at the University of Kansas. He then joined the faculty in the Department of Psychology at the University of Arizona as an associate professor. He later taught at the University of Missouri. His last academic position was as a full professor in the Department of Counseling and Educational Psychology at New Mexico State University, where he eventually served as Chair. Dr. Ruiz’s scholarly publications primarily focused on Latino mental health issues. He published over 60 book chapters, research articles, and co-authored two noteworthy books, Latino Mental Health (1973) and Chicano Aging and Mental Health (1981). He invested his time and talents in working with the American Psychological Association (APA) to bring minority issues to the attention of the membership. He also served as an APA visiting psychologist on numerous occasions and traveled to different universities around the country, where he consulted and lectured on emerging themes in Latino psychology. In addition, he was often called on by the National Institute of Mental Health to consult on minority-group mental health. Dr. Ruiz’s research has amounted to inspiring young Latinos psychologists to venture in the field of psychology and has caused some of them to fill in the gaps in his areas of investigation, such as, mental health services for Latinos, acculturation and mental health, ethnic identity among children, and issues of Latino aging and mental health. Dr. Richard Rodriguéz (1959-2008) was born in National City, California. He earned his bachelor’s degree from the University of Southern California, his master’s degree in educational psychology and his doctoral degree from the University of Utah in Counseling Psychology. His identification as a gay Latino fueled his interest and research in academia. Dr. Rodriguéz was involved at multiple academic institutions and memberships throughout his career. He began at Sonoma State University as the Director of Counseling and Psychological Services from 2002- 2004, and at the University of Colorado at Boulder as Director of Counseling and Psychological Services: A Multicultural Center from 2004-2007. In the Fall of 2007, Richard joined the faculty at the California School of Professional Psychology-Alliant International University, San Francisco campus, as a full-time core faculty member in the Doctor of Psychology program. At Alliant, he served as the San Francisco campus’ Director of Multicultural Affairs, and as Clinical Director of the University’s Alternative Family Institute, the nation’s first counseling center exclusively devoted to LGBT couples and families. His clinical work centered on Chicano/Latino mental health, lesbian/gay identity development, HIV and adult survivors of childhood sexual abuse. He was a Fellow for Rockway Institute at Alliant University where he conducted research and public policy on LGBT. He also served as a member of the Mental Health Board of the City and County of San Francisco, the Editorial Board of the Journal of GLBT Family Studies, Executive Committee of APA’s division 44, and the Society for the Psychological Study of LGBT Issues. Dr. Rodriguéz paved the wave for up-and-coming LGBT Latino psychologists by being an openly gay Latino in academia. When he held the position of Director of Counseling and Psychological Services, in the Multicultural Center at the University of Colorado at Boulder, he oversaw, implemented, and enhanced outreach efforts for staff on student mental health needs. When he attained this title he announced, “I love working with young people who have a thirst for knowledge. I especially enjoy helping students with establishing their identity.” He understood college students’ mental health issues when going to school. He was also aware that first-time students and non-traditional students have a much harder time adjusting to college and faced challenging decisions. Consoli, A., & Sheltzer, J. (n.d.). José Toro-Alfonso In Memoriam.